Impeccably Managed – 2017 Pilatus PC-12 is SOLD! Meet the factory-new Bombardier Challenger 350 available for private jet charter. 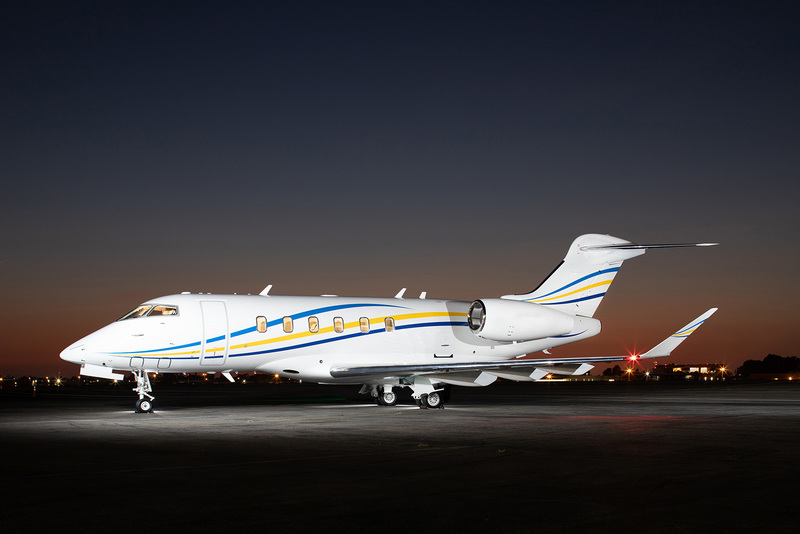 Based at John Wayne Airport (SNA) in Orange County, this factory-new 2018 Bombardier Challenger 350 is located in the heart of Southern California. 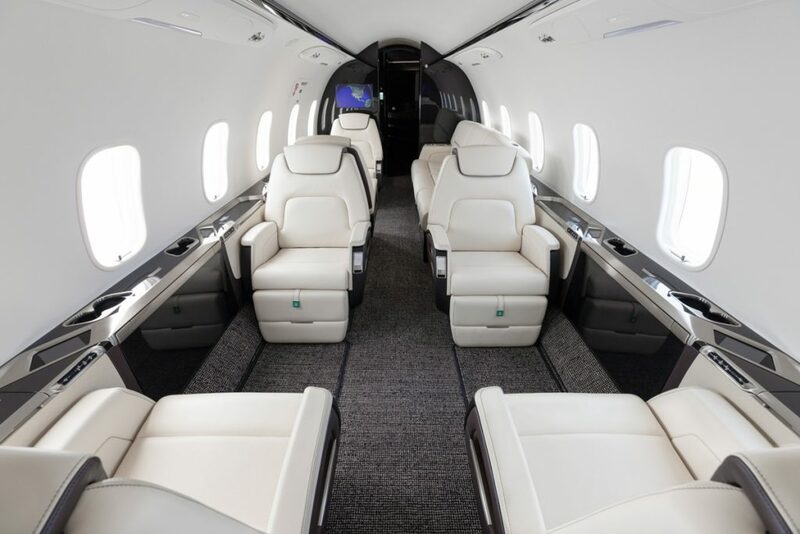 This aircraft is the second Bombardier business aircraft to join Latitude 33 Aviation’s fleet, complementing a Challenger 300 also available for private jet charter and based in the Los Angeles area. Enjoy the open comfort of a wide, spacious cabin. Sit back, stretch out, or lie down in generous, hand-sculpted seats. The 3-place divan with lie-flat capability makes transcontinental flights serene, and the six captain seats feature 180°-swivel, tracking, and recline capability. With a six-foot-tall stand-up cabin and flat-floor design, you can safely move about the cabin with unrestricted ease. Need an item during your flight that you packed away in your luggage? No problem. With access to the baggage compartment at all times, your personal items are always within reach. Additionally, the Challenger 350 provides an exceptionally smooth ride from takeoff to touchdown thanks to the balanced aircraft design. From signature metal trim to beautifully crafted foldout tables, every aspect of the cabin has been carefully designed for an unrivaled private jet experience. Enjoy the intricate stitching of the premium seats and the elegant glow of tasteful accent lighting. Whether your trip is for work or pleasure, the Challenger 350 delivers on its promise of class-leading comfort. Enjoy the perfect balance between aesthetics and ergonomics with large windows, angled touch screens, and carefully selected finishes. Whether you are traveling to your next business meeting or long-awaited vacation, the Challenger 350 features the most intuitive cabin technology in the industry and will help you arrive prepared and relaxed. Stay connected with the world below through high-speed connectivity – if you choose – or disconnect from the demands of everyday life and enjoy streaming media. All the controls are at your fingertips with one of the industry’s most advanced cabin management systems. Screen a movie on the large high definition monitors, listen to audio on the crystal-clear integrated sidewall speakers, or just sit back and relax in the spacious seats. With exceptional design and creature comforts, the Challenger 350 creates peace of mind for all travelers. Say goodbye to choosing between travel companions or range. 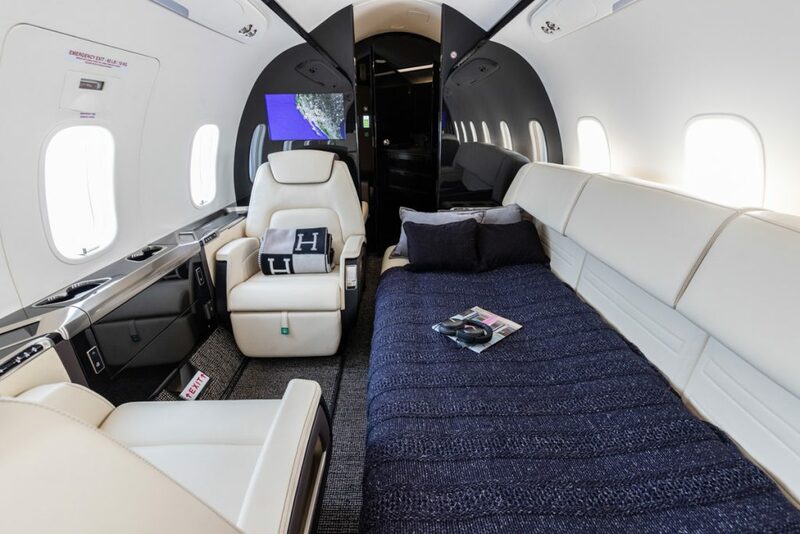 This factory-new 2018 Bombardier Challenger 350 jet can connect Los Angeles to Miami, Las Vegas to Honolulu, or New York to London non-stop. Perfect for coast-to-coast trips throughout the U.S., North America, Central America, and Europe, this aircraft will get you there with full fuel at full passenger capacity. The Challenger 350 delivers non-stop performance you can count on. This factory-new Challenger 350 is part of Latitude 33 Aviation’s large fleet of aircraft available for private jet charter. Our private charter aircraft are conveniently based in Carlsbad, Orange County, Long Beach, Hawthorne, Van Nuys, and Fresno, California, for your next private trip. With nearly two dozen aircraft in our private jet charter fleet and the highest safety rating in the industry, we set the standard for private air travel. Joined by six other pristine super-midsized aircraft available for charter, the Challenger 350 provides non-stop flights from coast to coast. The Challenger 350’s luxurious cabin area is a perfect extension of your home or office. With a seating capacity of nine passengers, this factory-new aircraft is perfect for private jet flights for you and your favorite guests. Ready for your next travel experience in a factory-new private jet? Contact Latitude 33’s concierge charter department for arrangements. Whether you are looking for a private jet rental in San Diego, air charter services in Los Angeles, or a private jet flight in Southern California or beyond, our team will get you where you need to go.